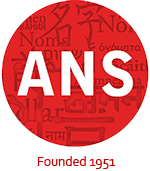 The American Name Society (ANS) is inviting abstracts for scientific papers providing an analysis and discussion of indigenous names and toponyms found in former European colonies in the Americas, Africa, Asia, the Pacific and the Antipodes. Any area of the use of indigenous names may be the subject of analysis. Suggested issues for discussion include, but are by no means limited to the following: the transcription (spelling) of indigenous names and/or determining their meanings, indigenous naming practices, indigenous names as identity markers, the reinstallation of indigenous toponyms, the reclamation of indigenous language and culture through their names, and the appropriation of indigenous names, etc. Proposals should include a précis of no more than 500 words and a 50-word biographical sketch of the author including the author’s name, affiliation, onomastic interests, and email. All submissions must follow the Journal’s official stylistic and grammatical regulations. Proposals should be sent via email attachment in a .doc or .docx format to Dr. I. M. Nick at <mavi.yaz@web.de>, with “Indigenous Names and Toponyms” in the subject line. Proposals must be received by 1 February, 2017. All submissions will be subjected to a blind peer review process. Final submissions due for publication 31 July, 2017. For questions, please email Dr. I. M. Nick at <mavi.yaz@web.de>.